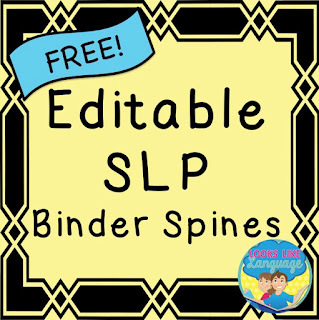 Don't be fooled by the 'SLP' in the title, teachers! These 2" binder spines are totally editable and can make your shelf of binders look prettier, too! We all could use a freebie to help us organize and start our school year with a prettier room! Click to get this freebie at my store! Enjoy!